What’s wrong with the Common Core? According to one conservative scholar, it threatens to take away the very glue that holds our culture together. As we’ve seen, no one is quite sure what to make of the new Common Core State Standards. In addition to debates over the efficacy of these new curriculum and assessment tools, progressives and conservatives all argue about whether or not these standards are ideologically dangerous. Some conservatives say the standards are anti-Catholic. Others blast them as a “progressive beer bong.” Still other conservatives defend the Common Core standards as the least bad approach to public schooling. Too often, Moore concluded, the new standards encourage teachers and students to read about our culture’s great narratives, rather than spending time with the narratives themselves. As a result, Moore said, the real aim of education is thwarted. Instead of pushing the Common Core’s goal of “college and career readiness,” real education should push young people to become more human. In his new book on the subject, Moore spells out his argument in fuller depth. I admit, I haven’t read the book. But I wonder if Moore is aware of his ideological genealogy. In his book, Moore blames “The Story-Killers” of the Common Core standards for turning students away from their rich intellectual heritage. He offers a “common-sense” solution to the problem. 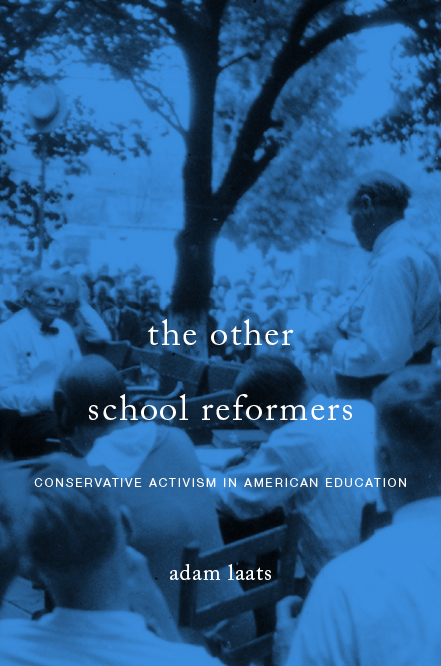 With the general argument and even the offer of a new common-sense conservative approach to schooling, Moore is reviving the 1960s-era talk of Max Rafferty. Max Rafferty isn’t a name we hear much in conservative talk about schooling and education, but it should be. As California’s State Superintendent of Education in the 1960s and as a popular syndicated columnist, Rafferty spelled out many of the ideas that Moore seems to revive. For example, in a 1963 collection of his newspaper columns, Rafferty complained of the mindless watering down of curriculum. Students used to read our culture’s great stories, but since the 1930s more and more of them had been brutalized with intellectual pablum. If you doubted it, Rafferty wrote, just try this experiment: Take any class of students. suddenly, as though opening an enchanted window upon a radiant pageant, give them the story of the wrath of Achilles. . . .
Watch their faces. . . . This is teaching. This is what you trained to do. . . .
Let us say to these diluters of curricula, these emasculators of texts, these mutilators of our past, ‘We have had enough of you. The world is weary of you. . . . With your jargon of behaviorism and Gestalt and topological vectors and maturation levels, you have muddied the clear waters of childhood long enough. You have told us to teach the whole child, but you have made it impossible to teach him anything worth learning. Little by little you have picked the meat from the bones of Education and replaced it with Pablum. You have done your best to produce a race of barely literate savages. told us that the schools are built and equipped and staffed largely to pass on from generation to generation the cultural heritage of the race. Common sense in recent years believed that putting children of like abilities together for at least a part of their school experience would help them to find their own rate of achievement and advance accordingly. Common sense, since anyone could remember, had always held that children who did their homework covered more ground in school and learned more than children who didn’t. Common sense told us that discipline, like good manners, had to be taught to a child over a period of years. Does Professor Moore know about Rafferty’s arguments? Or do these ideas just cycle back around for conservative intellectuals? Max Rafferty’s books used to be widely read. Not so much anymore. I wonder if more conservatives would be interested in digging into their own intellectual heritage. What Should The Science Guy Say?